Hotel East West is a stylish hotel located in Circus Avenue, Park Circus, Kolkata, that has a fabulous interior decor. 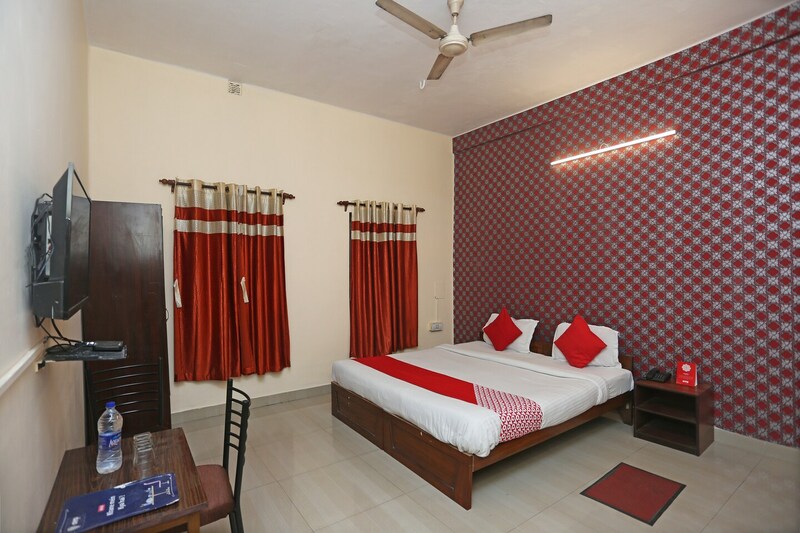 The bedrooms at the hotel have light colored walls and dark wood furnishings with one of the walls done in wallpaper, lending the rooms a lively ambience. The rooms also have large windows that let ample sunlight stream in, thereby brightening up the place. The free Wi-Fi and power backup available at the hotel ensures that the guests have no difficulty in staying connected with the rest of the social world. Other amenities offered by the hotel are CCTV cameras, laundry services and a card payment option. The hotel has lots of eateries close by that serves mouth watering dishes. 8th Day Cafe & Bakery, City Express and Mocha are some of the restaurants situated in close proximity to the hotel.